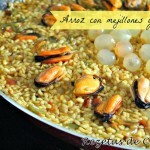 How about if we swap the traditional paella this Sunday for rice with mussels and grapes? 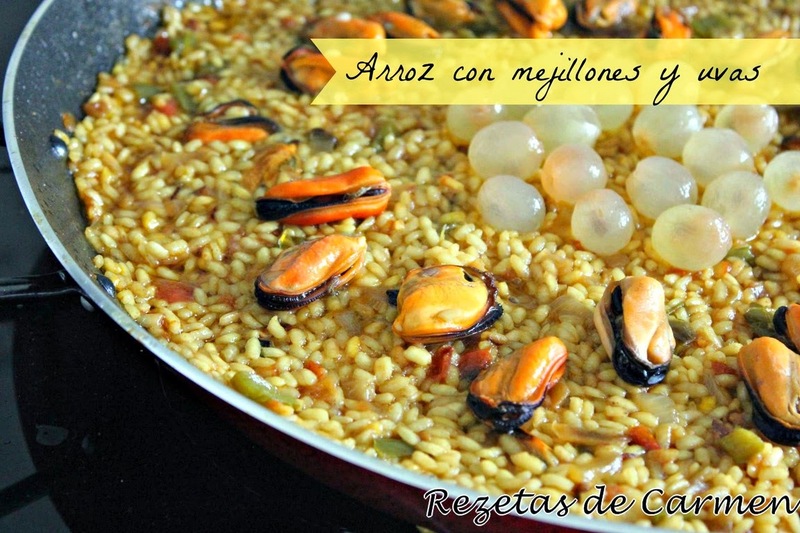 We know that for many people, paella is sacred, but we also think that the recipe sent to us by Carmen (Rezetas de Carmen) is a strong candidate to make them change their mind. Cut up the onion, green pepper and tomato. Pour oil into a paella pan and when hot add the onion and green pepper. When they are a little golden, add the tomato, sauté and season. Gradually add the rice. Fry for a few minutes. Add the fish stock, heated beforehand in the microwave. Wash and peel the grapes. Put them to one side to add at the end. Let the rice cook for 15 to 20 minutes. In the last 5 minutes of cooking time, add the mussels and grapes. Check if the rice is cooked and let it rest for about 5 minutes.